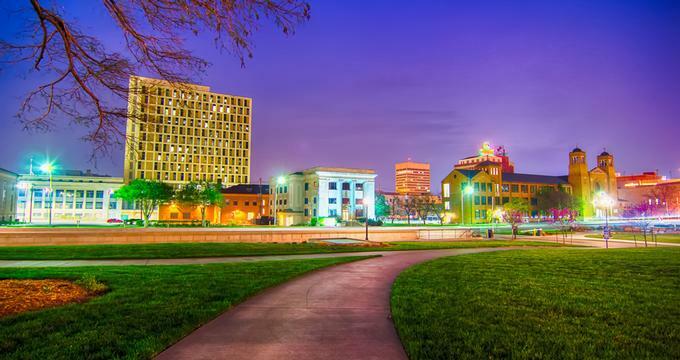 The capital of Kansas, Topeka is a great weekend destination offering a diverse choice of things to see and do. Take a historic tour of the Kansas State Capitol, visit the Mulvane Art Museum, go for a stroll along Lake Shawnee and see the exhibits at the Combat Air Museum. Best things to do in Topeka, KS with kids include the Great Overland Station, the Kansas Children’s Discovery Center and the Topeka Zoological Park. The Kansas State Capitol is a historic building and the seat of government for the U.S. State of Kansas. Also referred to as the Kansas Statehouse, it is the home of the state’s executive and legislative branches and is one of the top Topeka attractions. Its dome is 304 feet high (93 meters), and it is one of the few state capitol buildings in the U.S. that still offers dome tours. These tours start on the fifth floor: from here visitors must climb 296 steps, as there is no elevator. There are also historic tours of the building, and these tours include all five floors, allowing visitors to see some of the beautiful murals inside the building. Lake Shawnee is a manmade lake built between 1935 and 1939 as a Work Progress Administration project when more than 5,000 fishermen celebrated its completion in 1939. Water activities include boating, fishing, and swimming, while non-water activities include camping, golfing, and tennis. There are many amenities and facilities at Lake Shawnee, some of which include beautiful gardens and large open areas, the Garden House, the Reynolds Lodge, and shelter houses for picnics. If you are wondering what to do in Topeka with kids, this is a great place to visit. For activities there is a marina for boats, a children’s playground, sand volleyball courts, a swimming beach with a water slide, and tennis courts. Several programs and special events also take place at the lake. Located on SW Sixth Avenue, the Kansas Museum of History is a state history museum and one of the best things to do in Topeka, Kansas. The Kansas Historical Society was founded in 1875, and its first home was in the Kansas State Capitol building. Built in the 1980s to house the Society’s collection, the current building opened in 1984 as the Kansas Museum of History. Situated on an 80-acre site near the Potawatomi Mission, the museum houses galleries for its exhibits, classrooms for its outreach programs, and more. There are ongoing exhibits, special temporary exhibits, and online exhibits. Some of the programs for children include Kansas Day, Museum After Hours, the History & Environmental Fair, the Sundown Film Festival, and West Fest. The Mulvane Art Museum is an art museum and a department of Washburn University. Located on SW Jewell Avenue, the museum opened in 1924 thanks to the generosity of Joab R. Mulvane, a successful local businessman. It is one of the oldest art museums west of the Mississippi River and has an impressive collection of 4,000 art objects. Although some of the drawings, paintings, pieces of decorative art, prints, and sculptures come from many places around the world, the museum focuses on the work of local Kansas artists and artists from the Mountain Plains area of the United States. The museum’s education outreach programs include art classes, family events, public lectures, and much more. The Combat Air Museum is an aircraft and aviation history museum situated at the Topeka Regional Airport/Forbes Field, which was at one time the Forbes Air Force Base. The museum focuses on collecting, preserving, and displaying aircraft and artifacts related to U.S. aviation history. Founded in 1976, the museum is housed in two hangars at the airport. 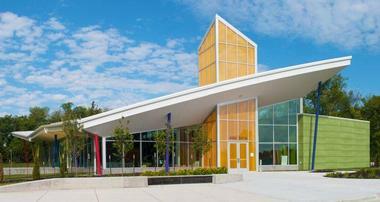 The Kansas Children’s Discovery Center is a children’s museum located on SW Tenth Avenue. Opened in 2011, the 15,708 square foot building that houses the center is situated in a 4.5-acre section of Topeka’s Gage Park. If you are looking for fun things to do in Topeka, Kansas with kids, this is a great place for small children. Inside, visitors will find a variety of hands-on exhibits where children can learn and explore through play. Topics these displays cover include art, science, and many more. Outside there are hiking trails, obstacle courses, and bike paths, and the center supplies the bicycles for the children. In addition to the hands-on exhibits, the center offers daily programs, camps, field trips, and special events. The center also hosts birthday parties and offers a variety of party packages. Gage Park is a 160-acre city park located on SW Gage Boulevard in Topeka. Founded in 1899, it is one of the largest parks in the city. It features the Reinisch Rose Garden, which is 70 years old. It is a scenic place and a popular choice for weddings and other special events like birthday parties and family reunions. Other features of the park include an outdoor theater and several attractions for children, including the Kansas Children’s Discovery Center where children and their families can explore art, nature, and science; the Topeka Zoo with its many exhibits, including an indoor tropical rain forest; and a miniature train. The Topeka Performing Arts Center hosts dance, music, theater, and other kinds of performances. Located on SE Eighth Street in the historic 1930s art deco Municipal Auditorium, the performing arts center was renovated in the late 1980s and early 1990s, transforming it into a state-of-the-art center without compromising the art deco architecture. In addition to the main auditorium, there is a smaller theater called the Hussey Playhouse with a seating capacity of 120 and a banquet facility on the lower level called Hill’s Festival Hall. In addition to the performances, the theater has several education outreach programs such as Schooltime Theater and Young Artist. If you are looking for romantic date ideas, watch a performance at the Topeka Performing Arts Center. Old Prairie Town at Ward-Meade Historic Site is an open-air museum and park in Topeka that consists of several historic buildings, botanical gardens, a general store, and a drug store. The 1870 Victorian mansion was the largest house in the city when it was built. 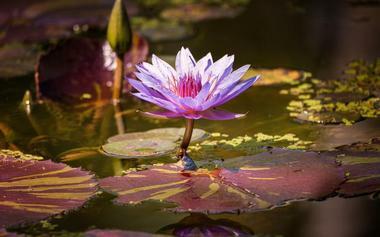 The 2.5-acre botanical gardens contain more than 500 varieties of flowers, shrubs, and trees, as well as a gazebo, a water garden, and a fountain. Old Prairie Town is a short street of historic 19th century buildings that have been moved to the site, some of which include structures such as the 1880 Methodist church from Everest, KS. Guided tours are also available. The Topeka Zoological Park is located within Gage Park in the north central part of the city. 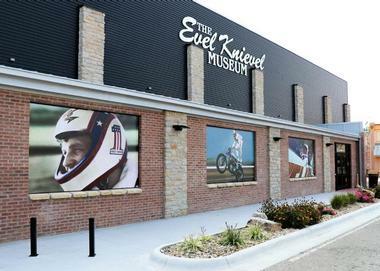 With its many exhibits, it is one of the most popular attractions in Topeka. Gage Park was the result of a donation of 80 acres from the Gage family to Topeka in 1899. The zoo opened in 1933 but the first structure to house large mammals was not built until 1966. After that point, many new exhibits were built. The zoo was renovated in 2003 and several more exhibits were added. 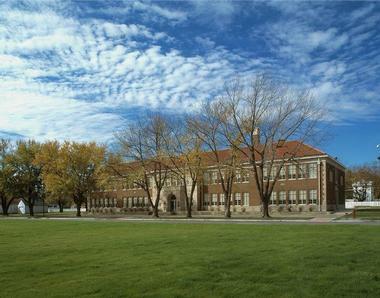 Located on SE Monroe Street, Brown V. Board of Education National Historic Site is housed in the Monroe Elementary School, one of four schools in Topeka that became desegregated after the landmark 1954 U.S. Supreme Court decision to end racial segregation in public schools. Once the historic school was closed in 1975, it changed ownership several times until it was bought by the Trust for Public Land in 1991. The building and grounds are listed as a U.S. National Historic Landmark, and the National Park Service operates the site. National Park Rangers lead 15 to 25 minute narrated tours of the building with its galleries and temporary exhibits. Founded in 1936, Topeka Civic Theatre presents well-known plays, musicals, and improvisation shows. The theater holds the record as the oldest continuously running community dinner theater in the United States. Its three stages are the Mainstage Theatre, the Oldfather Theatre, and the Helen Hocker Theatre. Productions include familiar plays like Shakespeare’s Much Ado About Nothing, and A Christmas Carol, and musicals like Bye Bye Birdie, and Bonnie and Clyde. 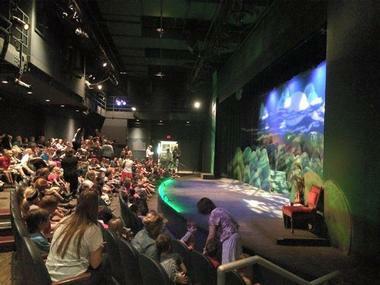 The theatre provides entertainment for children such as Disney’s Aristocats Kids, Disney’s The Little Mermaid, The Last of the Dragons, and Skippyjon Jones. The theatre offers a variety of classes including Broadway Sprouts, The Civic Stars, and Performance Experience as well as summer camps. Sitting on the west side of beautiful Lake Shawnee, the Ted Ensley Gardens are enhanced by the panoramic view of the lake. 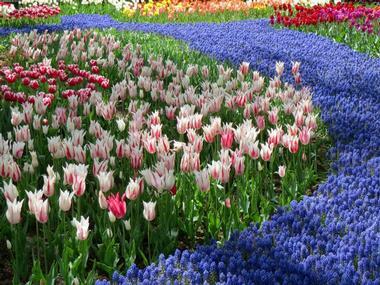 Covering about 20 acres of land, the botanical gardens are known for their stunning plants and their special design. A path leads from the trailhead shelter through a 60-foot covered bridge that crosses a stream. 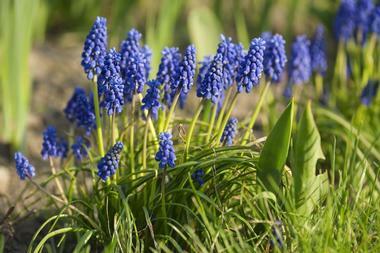 The sidewalks lead visitors to the annual and perennial beds of flowers, rock gardens, rose gardens, and a meditation garden. There are also several water features including ponds, waterfalls, and water gardens. Other features include a gazebo, a pergola, and picnic areas. The Great Overland Station is a museum and former railroad station located on North Kansas Avenue in Topeka. Constructed between 1925 and 1927, the structure was built in the Free Classical Revival style and makes great use of terra cotta on its exterior. Passenger service ended in 1971 and the building was abandoned in 1989. However, it was restored by the Railroad Heritage group between 2000 and 2002 and is now listed on the U.S. National Register of Historic Places. The museum displays many exhibits, and group tours are available. There are several things of interest for children at the museum including Choo-Choo Junction and Flo-Graphix. 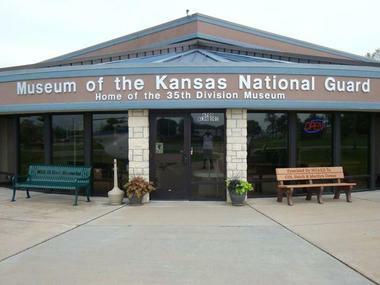 Located on SW Topeka Boulevard, the Museum of the Kansas National Guard is devoted to preserving the history and heritage of the Kansas National Guard. It also honors the National Guard members who have served the state of Kansas as well as the United States. Opened in 1997, the museum contains exhibits of artifacts from the Kansas National Guard’s 145-year history. There are displays of objects from the Civil War to the Gulf War. Exhibits include arms and equipment such as tanks, a howitzer, and several different kinds of helicopters. The museum hosts events throughout the year such as Civil War reenactments and other interesting activities. Located on SW Westport Drive, the West Ridge Lanes & Family Fun Center is an activity center that features a bowling alley, go-karts, and miniature golfing. The center also offers several options for people who like to bowl. Open Bowling allows visitors to bowl and provides bowling balls and shoes; there are also bumper bowling lanes for children. With its food and drink, loud music, and its black, disco, laser, and runway lights, Cosmic Bowling is definitely for fun-loving adults. Leagues can be formed with as few as eight people for League Bowling. The center welcomes field trips as well, and students can take advantage of several party packages. Located on SW Cedar Crest Road on the west side of Topeka, Cedar Crest is the official residence of the governor of the state of Kansas. Built in 1928 on a 244-acre estate overlooking the Kansas River, the building features architecture that was designed in the French style, and it is surrounded by gardens, ponds, and hiking trails. It was given to the state in 1955 and became the Kansas Governor’s Residence in 1962. The mansion is listed in the U.S. National Register of Historic Places and was renovated during the 1990s. The land surrounding the mansion is now known as MacLennan Park. Tours of Cedar Crest are offered to interested visitors. The Sports Center, an entertainment center located on SW Tenth Avenue in Topeka, features a variety of activities that are fun for the whole family. 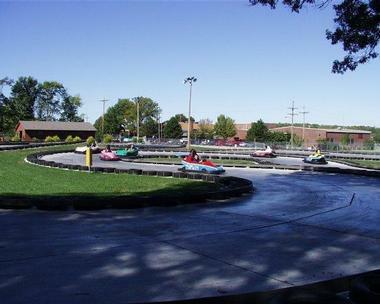 These include Go Karts with full size karts for adults, two-passenger karts, and smaller karts for children. The center also has two 18 hole putter golf courses and an 18 hole miniature golf course full of fun objects like animals and flowers, a golf driving range for experienced and beginner golfers, nine batting cages, and much more. Inside there is an arcade with many different kinds of games to play as well as a snack bar. The center is a popular place for special events like birthday parties and school outings. More weekend destinations: Best Things to Do in Lawrence, Kansas.